Hello loyal NextGen Player readers. I know it's been a while since our last contest. Well, we're excited to announce a new contest in conjunction with Big Fish Games. Recently Big Fish Games announced a closed beta for their upcoming browser-based casual MMO titled Faunasphere. This addictive casual MMO social game is created by the lead-designer of the popular Asheron’s Call for the PC. 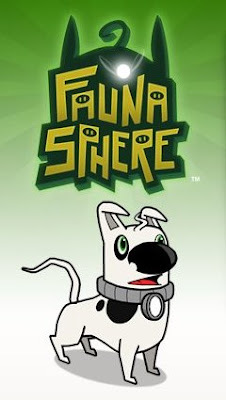 Big Fish Games describes Faunasphere as a game that engages a broad casual gamer audience through non-violent game play, rich social networking elements, and an immersive storyline. The game is free to play, and will feature micro-transactions and premium membership to enhance the game play experience. So here are the contest deets. Up for grabs are five (5) closed beta invites for Faunasphere. To enter the contest, all you have to do is send an email to contest@nextgenplayer.com with the subject line "Faunasphere Contest". Only one entry per email address will be accepted. The contest will run from Friday, July 10, 2009 at 12:01am to Sunday, July 19, 2009 at 11:59pm. Five (5) random winners will be drawn on Monday, July 20, 2009 and the winners will be contacted via email with prize details. This contest is open to all legal residents of Canada (excluding residents in Quebec) and the United States. You must be 18 years or older to enter the contest. Only one entry per email address will be accepted. For more details on our general contest rules, click here.